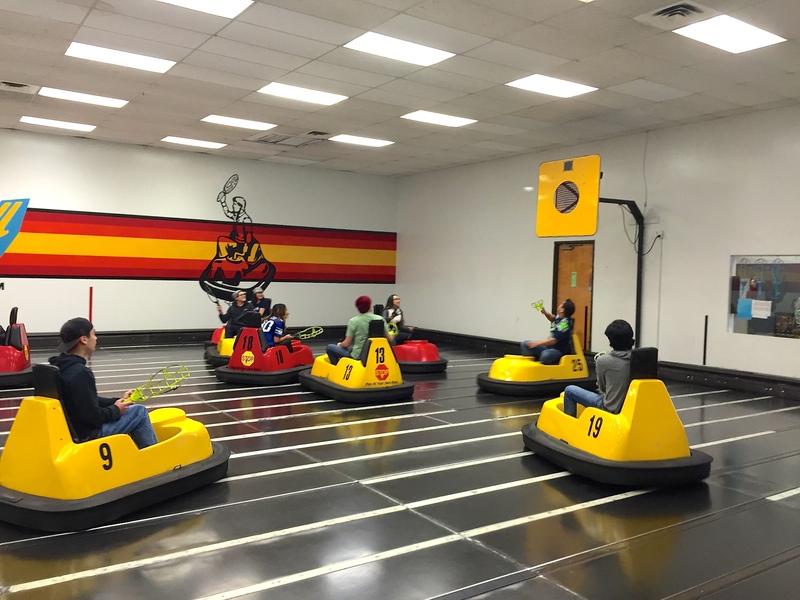 What do you get when bumper cars and lacrosse make babies while cheating with basketball? 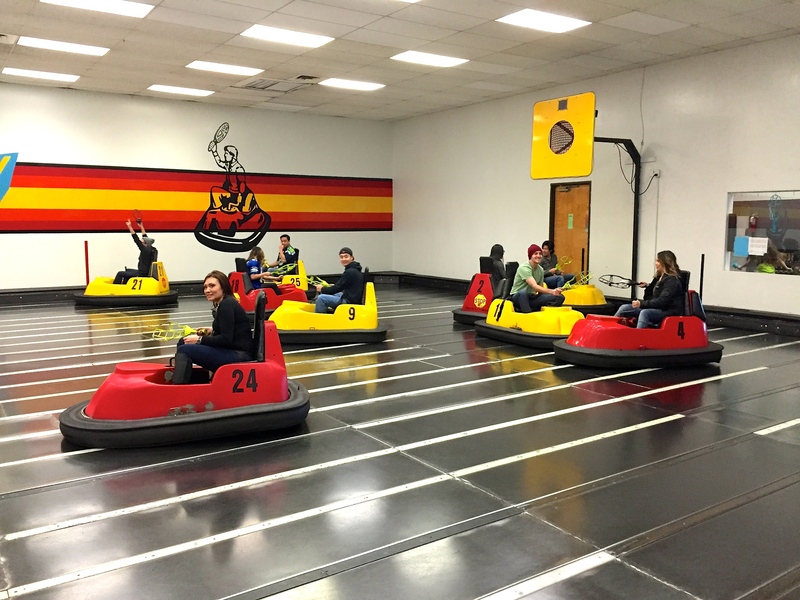 Whirlyball!!! 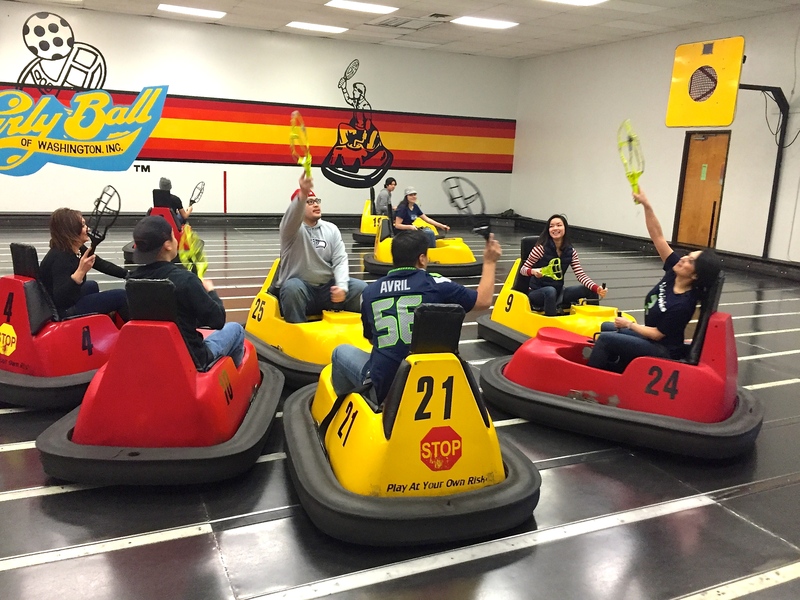 Driving, crashing into bumper cars, and whipping a ball around at your friends…how much better can my birthday party be?!? It’s two teams of 5 scooting around on a court with a ball you’re trying to throw at a target. 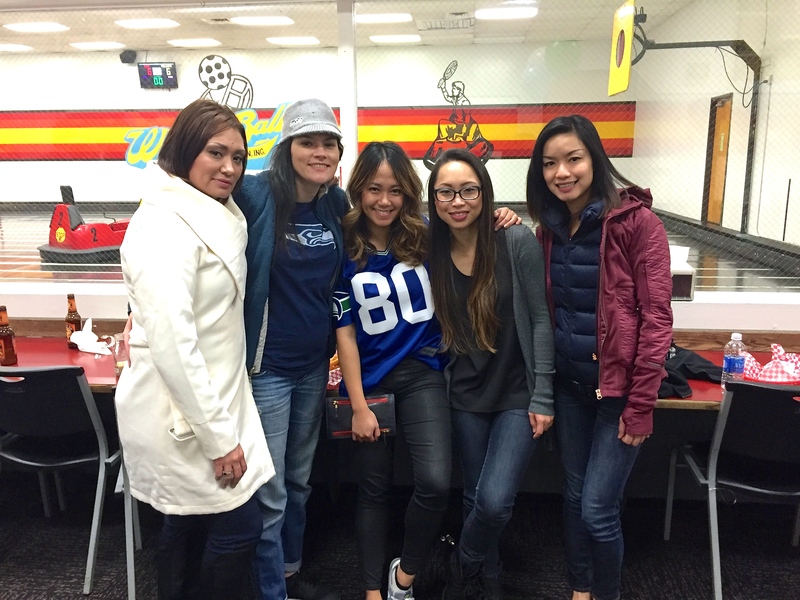 We started off with guys vs. girls and we pretty much got our asses kick (guys are just better “team” players). 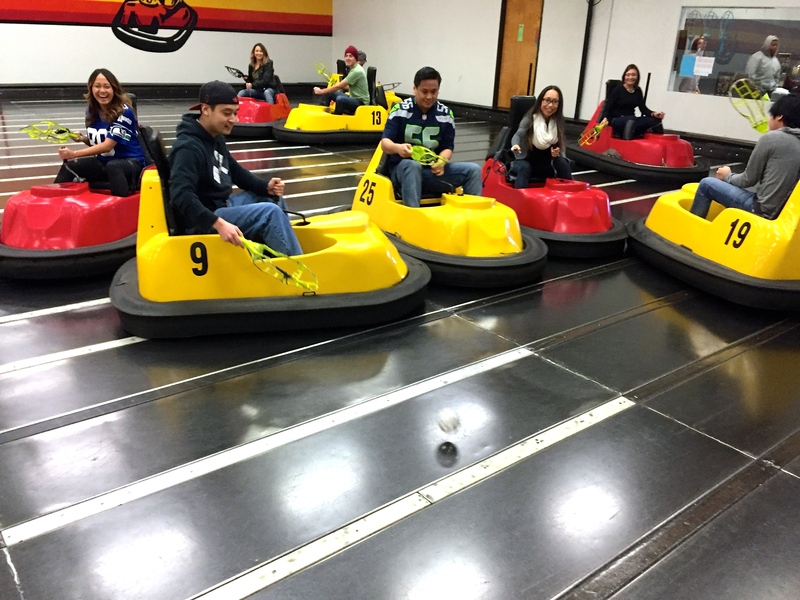 Whirlyball is a bit harder than it looks, but once you get the steering down it is so much fun. 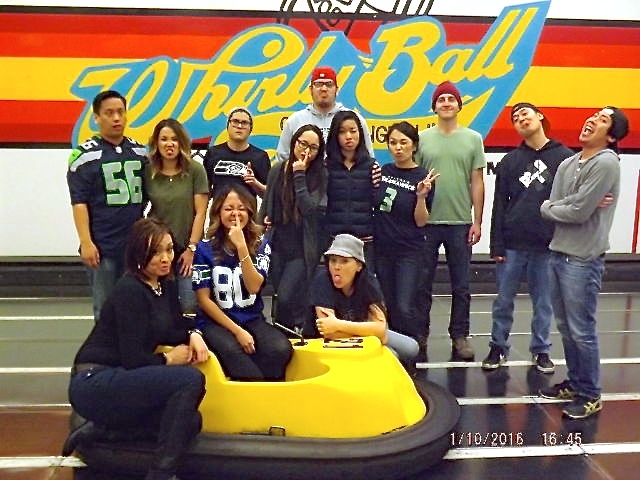 We all ended up with bruised knees while a few of us had some neck injuries due to the repeated whiplash – sorry guys! I had a smile on my face and laughed the entire time! Needless to say, everyone had a good time—at least I hope so!